In celebration of horror master John Carpenter‘s 70th birthday today, producer Danny McBride shared a cool new image from the set of Blumhouse’s Halloween via his Instagram page. As reported last Saturday, filming is currently underway on Trancas International Films, Blumhouse Productions, and Miramax’s Halloween in Charleston, South Carolina. You can check out the photo below, which reveals a chair with “The Shape” written in orange. Nick must be taking a sneaky brake from the set. The latest young rising talents who have joined the cast include Ginny Gardner (Marvel’s “Runaways”, Secrets and Lies, Glee), Miles Robbins (Mozart in the Jungle, My Friend Dahmer), Dylan Arnold (Mudbound, Laggies, When We Rise), Drew Scheid (“Stranger Things”, The War with Grandpa). They have all joined the cast playing school friends of Andi Matichak’s character, Allyson. You can check out some photos of the new cast down below. Christopher Nelson, who won an Oscar for his makeup and special fx work on David Ayer’s Suicide Squad, has been hired to lead the team responsible for the special effects on next year’s Halloween installment from director David Gordon Green and Blumhouse Productions. Also joining Nelson on the film is Vincent Van Dyke, who received Emmy Award nominations for Outstanding Prosthetic Makeup work on Grey’s Anatomy and Nip/Tuck. Van Dyke has previously worked with Halloween icon Jamie Lee Curtis on the TV show Scream Queens. The film’s FX makeup coordinator is none other than Stephanie A. Ford, who recently worked with Nelson on Netflix’s Bright. Nick Castle will once again return to reprise the role of Michael Myers. It’s also been confirmed that stunt performer and actor James Jude Courtney has also been cast to play Myers. Andi Matichak is playing Allyson, Greer’s daughter and Curtis’ granddaughter, and it’s likely she’ll be one of Michael’s victims while trying to get at Laurie. 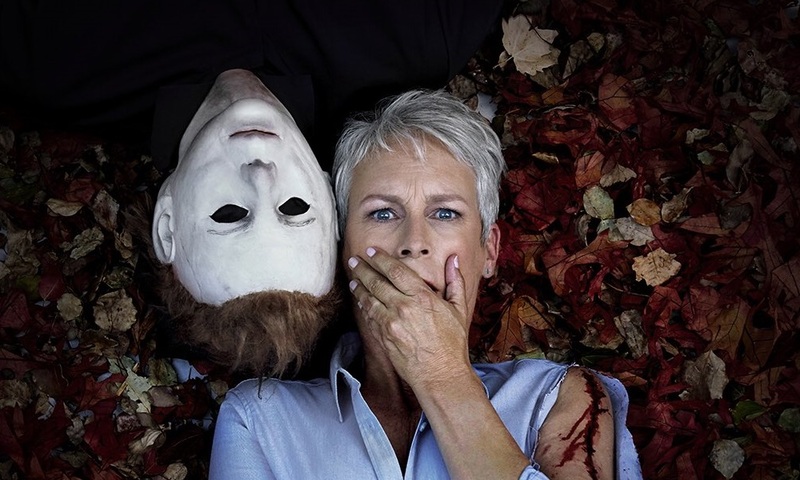 Jamie Lee Curtis is returning to reprise her iconic role as Laurie Strode in the next year’s Halloween. Judy Greer (Jurassic World) is in talks to play Karen, the daughter of Laurie. John Carpenter will executive produce with Malek Akkad producing for Trancas and horror specialist Jason Blum producing for Blumhouse. Gordon Green and McBride will also executive produce under their Rough House Pictures banner. Halloween will stalk theaters on October 19th, 2018.